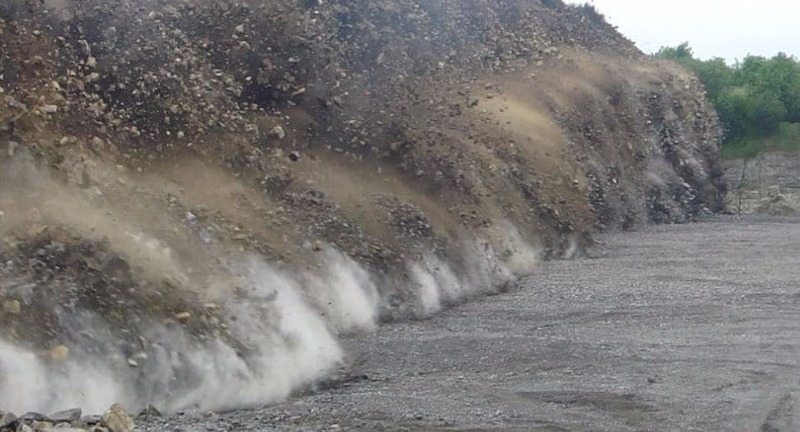 To ensure the efficient use of explosives within the blasting process, and comply with the Quarry Regulations, Irish Industrial Explosives provide an explosives supervision service to its customers. The safe and effective use of industrial explosives at customers sites is the highest priority. When using I.I.E’s Explosives Supervision service you sre getting reliability. Explosives Supervision can be carried out by one of our Technical Services Engineers who will undertake the whole procedure from beginning to end. Our Technical Services Engineers are licenced and fully qualified, therefore we can offer a complete and reliable service. The Explosives Supervisor is in overall, day-to-day charge of work with explosives in the quarry. As the Explosives Supervisor has no specific duties under the quarry regulations, the extent of his/her duties will be defined by their letter of appointment and the Operators Rules for Shotfiring Operations. Maintain a list of suitably qualified i.I.E. employees to assume the roles of Explosives Supervisor and Shotfirer. Visit the Quarry to discuss the blasting requirements with the operator or his representative. Survey the rock faces and set out the blast as required. Agree a preferred blast date with the Operator. Liase with the drilling contractor and Garda to organise the blast for the preferred date (or the nearest suitable). Draw up detailed drilling instructions including a plan of the bench showing the position of and numbering the required holes. Draw up and approve (by signing) a detailed Blasting Specification. Maintain and test Shotfiring equipment, calibrate profiling and vibrograph equipment as required. Deal with any Misfires that may occur. Our Engineers have all of the necessary skills, experience, qualifications and equipment needed to complete the job from start to finish. All blasting equipment used is calibrated and safety is evident throughout the service. The Explosives Supervision service is included within the scope of the Irish Industrial Explosives ISO 9001 Quality Management System. As such, customers can be assured that personnel have the appropriate skills and experience to deliver this service and that the equipment used by them is properly maintained and calibrated to provide the necessary confidence. Depending on how you use our Site, we may gather and store different types of information about you. We collect personal information through the Site such as your name and email address when you submit it to us for certain products and services . We also collect information about your computer browser, including the computer’s IP address and a person’s location, browser type, operating system, and the web pages you visit. If you access our website from a mobile or other device, we may collect a unique device identifier contained in that device. This information allows us to display or format relevant content and services for that device. If you visit the "Contact Us" section of our site and fill in the information requested and the "Additional Comments" section we will use your information to deal with your queries and to respond to you. We may store the information you provide for future reference in order to assess how well we provide our service to you and others on an on-going basis. If you write to, call or email us, we will use your details to respond to you and will keep a record of your correspondence with us. We may share your information with other CRH entities in order to provide information and services you request from us and in order to improve our services. We will not share your information with third parties without your consent, unless required by law or governmental authority. You can contact us any time to find out what information we hold about you or to request a copy. If you require us to delete your personal data, you should notify us. If you feel that our information is inaccurate or incorrect, we will be happy to correct it. If you wish to request any of the above or if you have a question regarding our use of your personal information, you should contact info@iielimited.com with the subject line GDPR Subject Access Request, or send a written request to GDPR Subject Access Request, Irish Industrial Explosives Ltd, Clonagh, Enfield, Co Meath A83 DY62.